Take Rt.#219 from Hillsboro,WV for two miles and turn left onto Rt.# 39/55. Follow signs to Rt.# 150 to the right. On this particular day, it was foggy and misting rain. 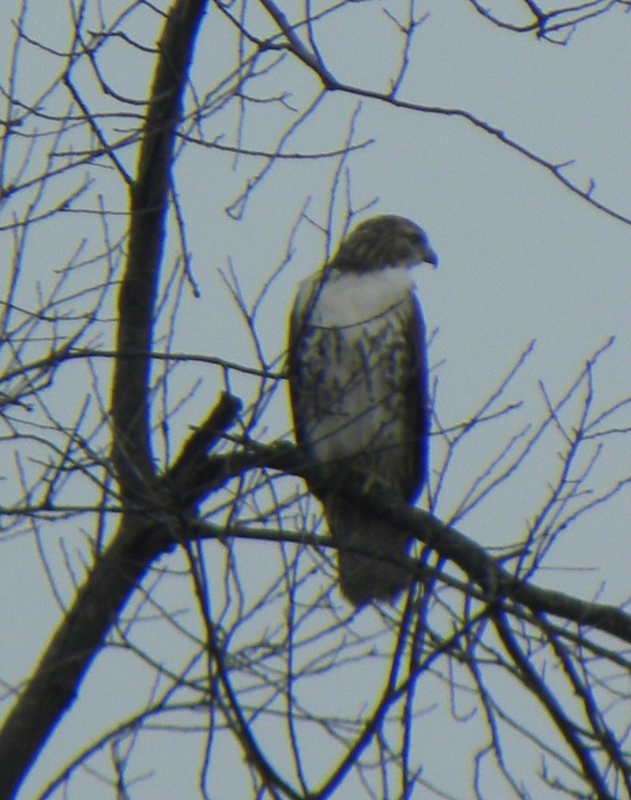 Caught a glimpse of this large hawk high up in the tree branches.